The Carlisle Import & Kit Nationals is a unique and exciting automotive festival that showcases over 1,200 classic and high-performance vehicles on the 102-acre Carlisle PA Fairgrounds, the weekend of May 21-23, 2010. The Import & Kit Nationals will once again feature imports from at least seven different countries and thirty-seven unique manufacturers, ranging from concours vintage racecars to high-performance new model sedans and that’s just one aspect of this must-attend event! The world’s largest Kit/Replicar gathering can also be found on the Carlisle PA Fairgrounds, showcasing amazing hand assembled kit automobiles and reproduction vehicles, based on the rarest and most collectible models. The Carlisle Import & Kit Nationals also provides an unbeatable shopping opportunity with a huge vending area, featuring the manufacturers midway - home to the top names in new parts dealers from both the Import and Kit industries. Carlisle is also the place to buy a vehicle, with the all-Import/Kit Carlisle Car Corral. 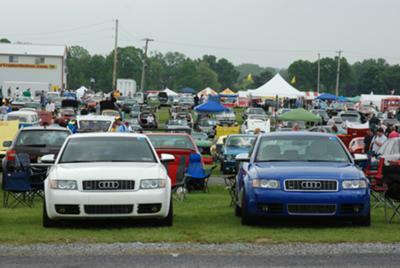 In addition to the huge showfield and terrific shopping, the weekend will be filled with fun for the entire family with on-site autocross racing, a cruise to historic and scenic locations throughout Central Pennsylvania, national and regional club gatherings and a giveaway car drawing on Sunday. All roads lead to Carlisle, Pennsylvania for the Import & Kit Nationals, where you’ll find a community of passionate automotive people and over three decades of world class automotive events. Carlisle Import & Kit Nationals – May 21-23, 2010. I'm sure anybody interested in car shows will put this event at the top of their list to visit in 2010. It's great to see so many classic and foreign cars all in one show.